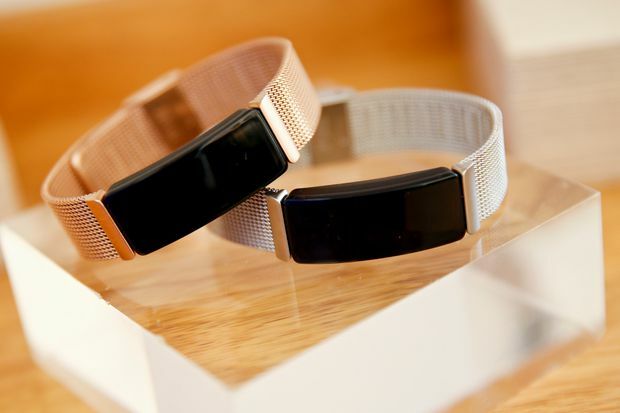 Fitbit unveiled the Versa Lite Edition at a media event in New York, on March 5, 2019. Fitbit Inc. launched its cheapest smartwatch on Wednesday to defend its position as the second-largest seller of smartwatches after Apple Inc.
San Francisco-based Fitbit said the Versa Lite smartwatch will cost US$160, down from US$200 for the full version. While still tracking workouts and heart rate, it will lack some features such as the ability to store music directly on the watch. In 2018, Fitbit sold 5.5 million smartwatches, behind the biggest seller Apple’s 22.5 million units, but just ahead of Samsung’s 5.3 million units, according to data firm Strategy Analytics. Indeed, rivalry for a greater share of the market has heated up as Apple and Samsung have added features for health tracking, Fitbit’s core focus. The Apple Watch included an electrocardiogram feature last year, and Samsung this year added a blood pressure sensor to its Galaxy Active Watch. Fitbit also announced new versions of its cheaper trackers in a bid to lure more casual users who might not be ready to fork out for the pricier devices of its rivals: The US$100 Fitbit HR, capable of tracking heart rate, and the US$70 Ace 2, which tracks activity in children as young as six years old. Apple does not make a cheaper tracker and its watches start at US$279, while Samsung’s tracker and watches start at US$200. Fitbit is trying to convince investors that it can hang on to users and sell them future devices if it gets them onto its tracking platform, which can store and share health and activity data. Chief executive James Park said at a media event ahead of the product release that the company has nearly 28 million active users. Last month, Fitbit forecast first-quarter revenue of between US$250-million and US$268-million. That was lower than analysts’ average sales expectation of US$272.3-million, according to IBES data from Refinitiv.